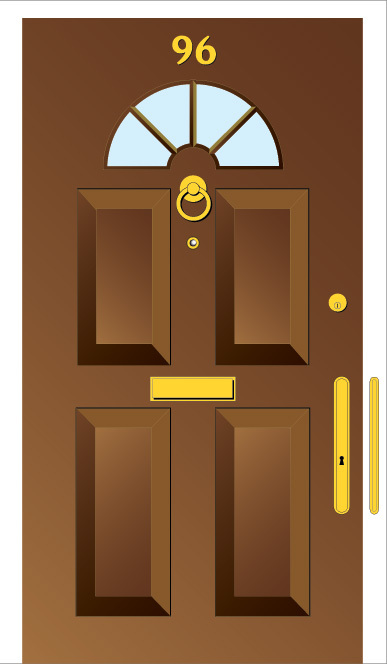 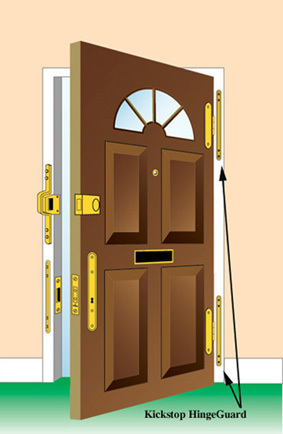 The illustration above is of a traditional door fitted with a standard UK mortice sashlock. 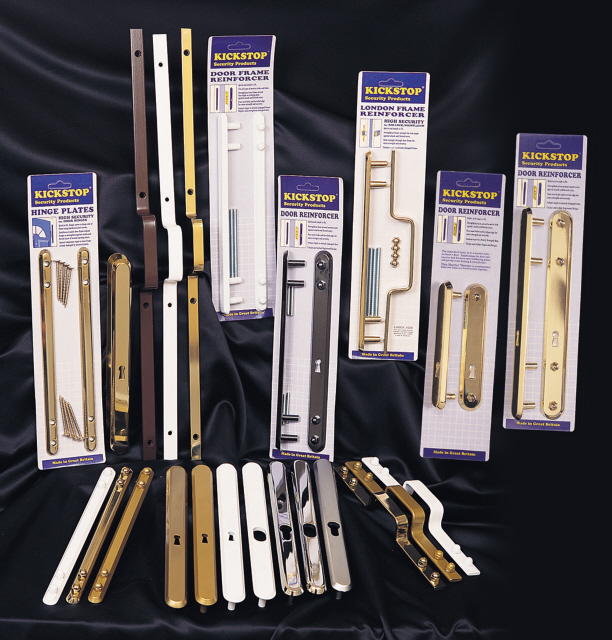 The Kickstop 9619 SashlockGuard (as illustrated) will reinforce the door around the lock. 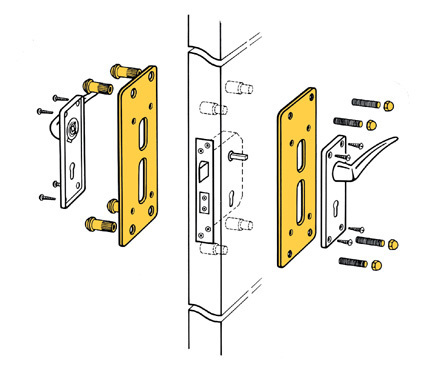 The Kickstop 9602 FrameGuard (as illustrated) will reinforce the frame adjacent to the lock. 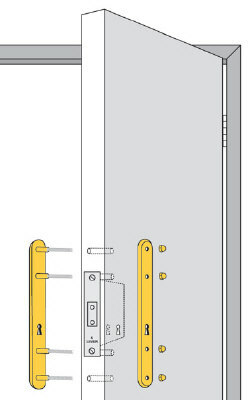 The Kickstop 9618 HingeGuards (as illustrated) will reinforce the frame adjacent to the hinges. 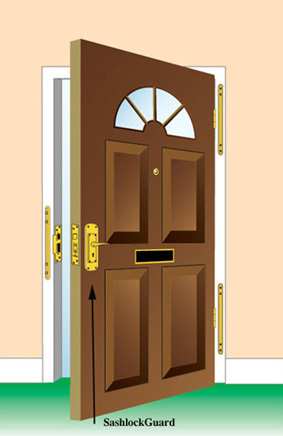 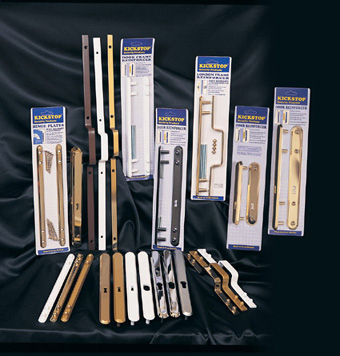 Kickstop Door Reinforcer is used to reinforce and strengthen a wooden door around a traditional UK lever, euro profile or oval profile cylinder mortice lock. 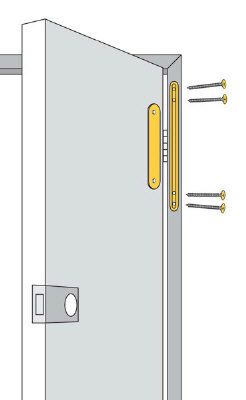 The 2001 HingeGuard product has no keyway and is designed to strengthen the door adjacent to the hinges, any other weakened part of the door or as a bolted through 'blanking off' plate. 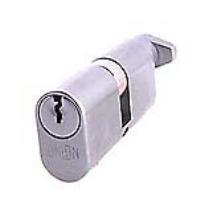 Euro cylinder or Oval cylinder. 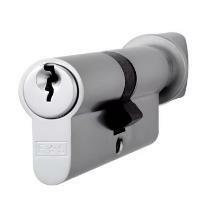 To be used with customers own lever lock furniture. 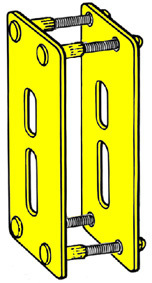 9619 Centres: 30mm Minimum - 92mm Maximum.